A video footage showing how one of the world's wealthiest and most powerful drug lord escaped a Mexican maximum-security prison has surfaced. The manhunt for Joaquin "El Chapo" Guzman began early Sunday, after prison guards discovered a tunnel entrance concealed in his cell's shower. Mexico's most prized prisoner is shown pacing his cell, first to the latrine, then the shower, then the bed. 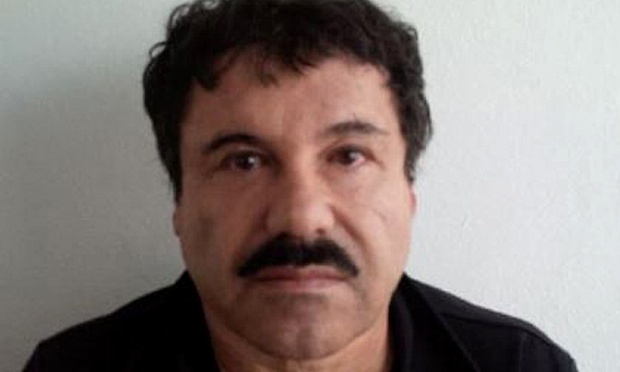 At every turn around the tiny room, drug lord Joaquin "El Chapo" Guzman checked the shower floor hidden by a half wall, because even jailed criminals get their privacy. In his final sweep, Guzman sat on his bed and took off his shoes. Then he walked back to the shower, stooped behind the wall and disappeared. It marked the beginning of the prison break by the leader of the Sinaloa cartel, whose illicit drug trafficking extended across Europe and Asia, and who escaped from prison for the second time on Saturday. The daring escape tunnel was a high-tech engineering feat three stories underground, where planners and builders managed to burrow through dirt and rock right to the one spot in Guzman's cell that surveillance cameras couldn't see. A bike pulling two carts was waiting in the tunnel and Guzman either rode on the bike or in one of the carts for a mile (1.5 kilometers) in the dirt tunnel built beneath the opening in the shower. The tunnel led to a construction site in the nearby neighborhood of Santa Juanita in Almoloya de Juárez, west of Mexico City. Guzman's capture in the spring of 2014 was considered a crowning achievement in the Mexican government's ongoing war against drug cartels.